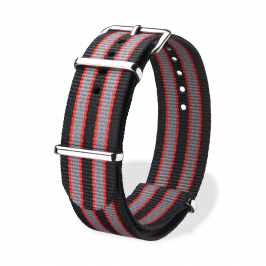 One-piece NATO nylon watch straps are being pulled through both spring bars and underneath the watch case. 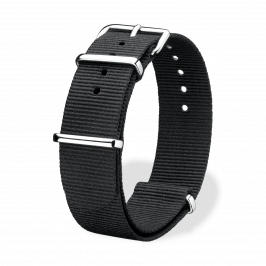 They are used to minimize the risk of losing the watch due to a spring bar or attachment point failure. Due to its extreme strength and durability, nylon fabric is widely used by the armed forces and for outdoor gear.